We know that beauty is on the inside. We also know that sometimes what kids wear can change how they feel and how the world sees them. 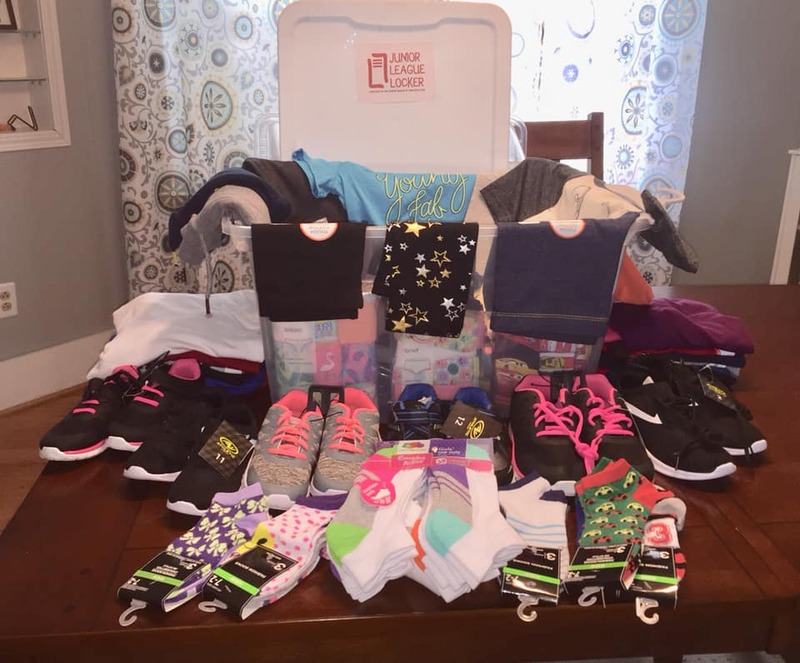 JLGA wants to give children in the Greater Alton area the opportunity to cut the tags off of their own new clothes and help them find the confidence and pride they deserve. We believe that when a student has a new outfit that fits properly and is appropriate for the occasion, the world can start seeing them for who they are and what they do instead of what they’re wearing. Junior League Locker is JLGA’s newest Issue-Based Community Impact project, designed to address clothing insecurities in our region. Throughout the Junior League Locker’s pilot year, we are working with counselors and administrators in the Alton School District’s K-1 centers – Eunice Smith Elementary, Lovejoy Elementary, Gilson Brown Elementary and Lewis and Clark Elementary – to fulfill clothing requests for students in need on a case-by-case basis. Additionally, each school is stocked with a “Locker” filled with basic clothing needs and shoes that teachers, counselors and administrators can give to children as needed throughout the school year. With your support at our fundraisers and through sponsorship opportunities, we can maximize the number of requests we are able to fulfill in the project’s first year. Contact Maggie Partipilo at (618) 409-4877 to learn about sponsorship opportunities. What kinds of students are we helping? The kindergartener whose parents don’t have enough money to send her to her first day of school in a new outfit – we can give her the clothes and confidence to make a good first impression. The student who lost everything in a house fire but the clothes on his back – we can give him back a sense of security at a time when it feels like everything is lost. The 1st grader whose feet are growing faster than his single mom’s budget– we can buy him soccer shoes in the right size so he can try out for the team. Stay tuned to learn more about this exciting new project or contact IBCI Coordinator Jolene Sherman at jsherman@stltoday.com.